Muncie Power Products, Inc. raises the bar with its improved line of DC power packs. Designed for reliable, quality performance, Muncie Power’s DC power packs feature new motors available in 12VDC and now 24VDC. Used for numerous applications including dump bodies, single-acting cylinders and lift gates, Muncie Power’s line of DC power packs is available with custom circuits. With custom circuits and standard models available, the DC power pack allows for individual selection depending on product and application needs. Horizontal and vertical mounting capabilities along with pre-assembled packaging make the DC power pack’s installation easy. 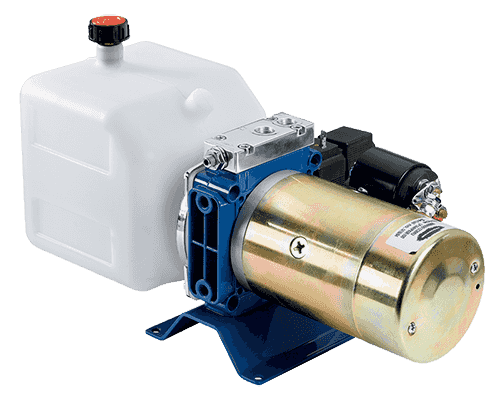 Other basic options include D03 valves and accessory blocks, polyethylene and steel reservoirs in a variety of sizes, an assortment of pumps ranging in size from 1cc to 3.2cc and options with and without corded control prewired from the factory.